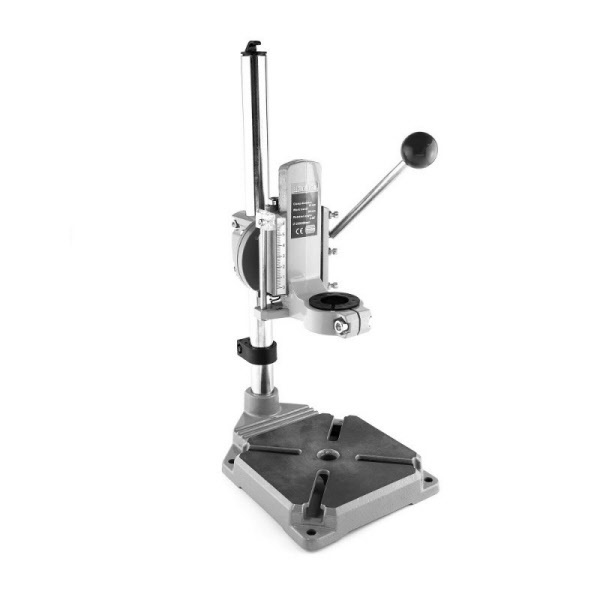 The precision Drill Stand is an ideal addition to any hobby, electronics and DIY workshop as it perfect for precise, recurred drilling in wood, plastic, metal and PCBs. 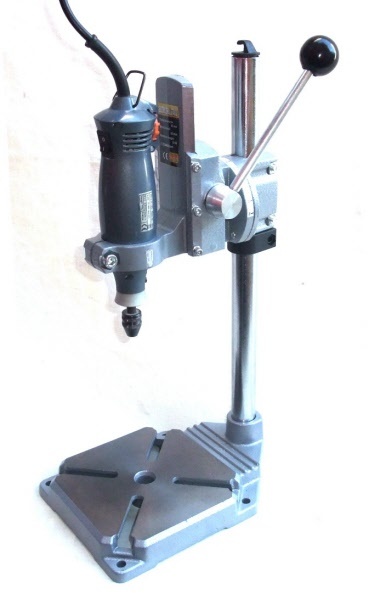 The drill stand is easily assembled and can be fixed with the screws provided on to your workbench if required. 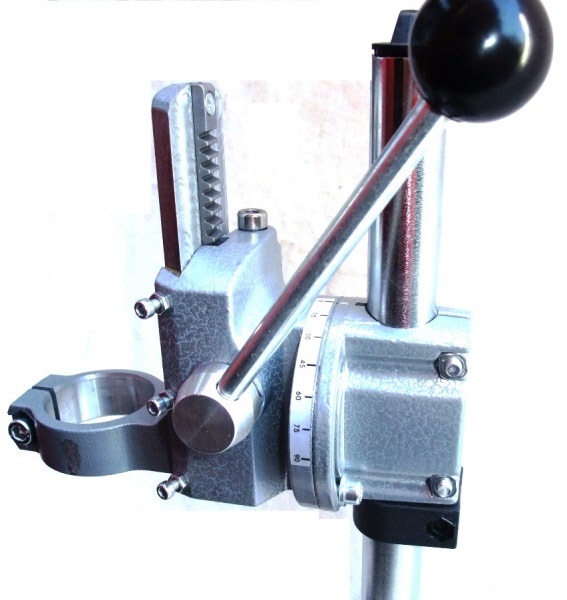 It uses a rack and pinion to give precise control of your drill. The drill assembly can be rotated through 90º, and the maximum distance from drill centre to pillar is 110mm. This stand is supplied with two reduction sleeves so it can accommodate electric drills from 25, 38 and 43mmØ.